This morning however, the laptop wouldn't start. The BIOS loaded fine, and transferred the start-up sequence to GRUB (GRand Unified Bootloader). But GRUB failed to offer a boot option, and instead kicked me back (automatically) to the BIOS .. in an endless (tho very short) loop. Sukage maximus. Not much you can do when the boot loader fails to offer an option. I tried powering-off the laptop & powering it back on. Still no dice. "This ain't good," I muttered, wiping the sleep from my eyes. Last summer, I installed a copy of Linux » Ubuntu 8.04, Hardy Heron (.. to a separate 20-gig partition, formatted as EXT3). As part of the installation, Ubuntu automatically installs a copy of the GRUB boot loader, which has worked flawlessly .. (uh, until today, that is). My hard drive is pretty new, so I didn't think it was a problem with the drive itself failing. So maybe GRUB somehow got corrupted, I thought .. tho I did nothing that should've affected it. I mean, GRUB sits in the Master Boot Record (MBR), and I have no reason to go there. To make matters worse, I haven't backed up in waay too long. Just yesterday, the thought passed thru my head » "You need to back up your system drive soon." I'm not even gonna say how long it's been .. cuz I'm kinda embarrassed .. especially since Radified is very much about backing up your hard drive (with industrial strength Cloning tools). 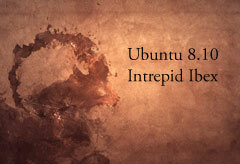 Continue reading GRUB Crisis Averted .. by Re-installing Ubuntu Linux.